We are pleased to announce that our CEO (Pawel Walentynowicz) will be present in this year’s G-STIC 2018 Conference, organised by VITO and partners, which will bring together technology experts and policy makers in Brussels. We are pleased to announce that Transenter and our CEO (Pawel Walentynowicz) will be present in one of the UK’s biggest events – the CIPD Annual Conference & Exhibition. Are you attending? If so, come and meet our CEO! We are pleased to announce that Transenter will be present at he ipcoming EIT Digital Conference in Brussels. Come and discuss the the future of Europe’s digital innovation with us! We are pleased to announce that our CEO (Pawel Walentynowicz) will be present at at the upcoming ABSL conference taking place in Poznan (Poland) from the 6th to the 8th of June. Come and meet him! We are pleased to announce that Transenter will be present at next month’s EuRA Conference in Dubrovnik. Come and meet our representatives in one of the most fascinating and historical cities in the Mediterranean! 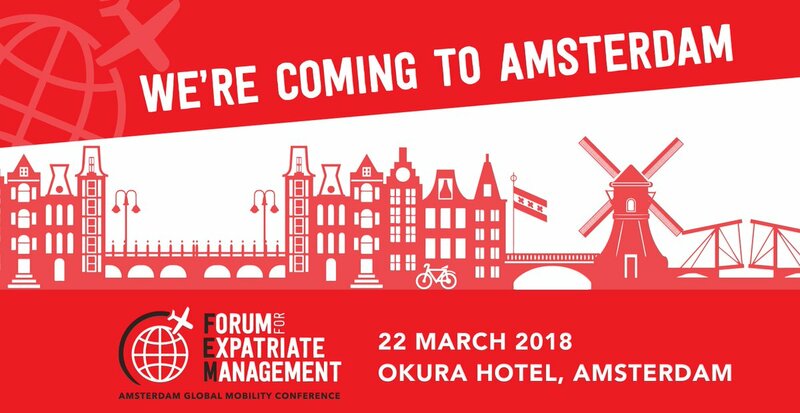 We are pleased to announce that we will be present at the Forum for Expatriate Management one-day conference taking place in Amsterdam on the 22nd of March. Come say hello and meet our representatives! 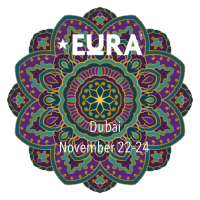 We are pleased to announce that we will be present at the upcoming EuRA Relocation Congress taking place in Dubai from the 22nd to the 24th of November. We are pleased to announce that we will be present at the upcoming Forum for Expatriate Management Summit taking place in London from the 7th to the 10th of November. The FEM EMEA Global Mobility Summit brings together global mobility professionals, industry experts and HR specialists. Come say hello and meet our representatives! We are pleased to announce that we will be present at the upcoming European Relocation Association conference taking place in Warsaw from the 21st to the 24th of June. We are pleased to announce that we will be present at the upcoming ABSL conference taking place in Łódź (Poland) from the 12th to the 14th of June. The Association of Business Service Leaders (ABSL) is the leading organization representing the business services sector in Poland. Come and say hello to our CEO, Pawel Walentynowicz! We are pleased to announce that we will be exhibiting at the upcoming Worldwide ERC Conference in Washington DC which is taking place from Wednesday 5th to Friday 7th of October. Leading up to the event we will confirm our stand location at this event and would be pleased to meet with you. The Annual ABSL Conference is a unique network platform and, year after year, the most awaited business service sector event in the CEE region. Since 2010, Association of Business Service Leaders (ABSL), is creating an outstanding opportunity to share knowledge and experience among top level executives in the business service sector. Our aim is to create opportunity to interact and share ideas among business’ and politics’ key influencers, and to discuss latest megatrends within the industry and beyond. ABSL Conferences gather up to 1000 business leaders and sector stakeholders, each year introducing almost 100 speakers and panelists. A few dozen panel discussions and presentations give an overview on the current trends in macroeconomics, politics, technology and other aspects significant for the industry’s development. Worldwide ERC® is the mobility industry’s premier trade organization, connecting and empowering talent management and workforce relocation professionals. We will be meeting the leaders in global workforce mobility and network, strategize and share ideas for thriving in the global marketplace. Boasting attendance over 1,650 each year, it is a meeting we will make sure not to miss! 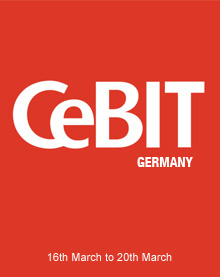 The CeBIT is one of the most important and internationally widely renowned events of the digital industry. Through its unique combination of trade fair, conferences, keynotes, corporate events and lounges, it became a significant initiator for efficient initial business contact as well as economic success. Meet our specialists at WINDREAM stand – Hall 3 Stand J20 and discuss adding translation feature to your Solution! Enjoy documents translated into many languages! The ITB Berlin (Internationale Tourismus-Börse Berlin) is the world’s largest tourism trade fair. The companies represented at the fair include hotels, tourist boards, tour operators, system providers, airlines and car rental companies. 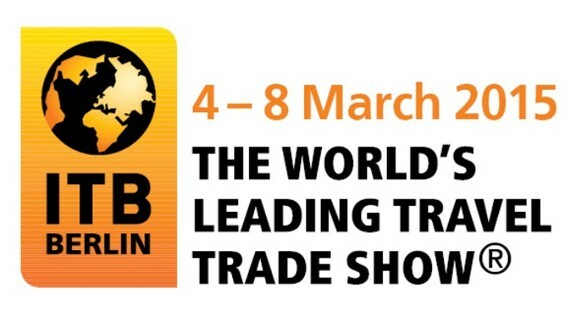 Our team is going to be at ITB on 5th of March, so if you are interested in translation services that we are able to provide, do not hesitate to contact us before to set up the meeting in Berlin. We are looking forward to meet you at ITB Berlin! DMS EXPO, the leading trade fair for enterprise content management, has a unique position throughout the world due to its focus on digital information, document and storage management, as well as business process management and output management. The target groups for the trade fair are IT managers and managing directors, but also organisational managers and heads of technical departments. Meet our specialists at WINDREAM stand – Hall 6-C and discuss adding translation feature to your Solution! Enjoy documents translated into many languages! To make an appointment with our specialists please contact us by clicking here. The conference will focus on the changes being faced by language service providers in an increasingly challenging business environment. For more information, please visit the conference website. To make an appointment with Paul Walentynowicz, please contact us by clicking here. We look forward to meeting you in Brighton! The VViN (the Dutch association for translation agencies big and small) will host its anniversary conference on 18-19 September in The Hague. Agencies as well as independent translators are welcomed at the VViN conference. The VViN conference will be the first place where our new language technology solution will be presented. Transenter has recently created a new CAT tool plug in “LingoTM” which may upgrade TM (Translation Memory) matches up to 15%, by changing fuzzy matches into full matches. On 24 & 25 June 2014 the 3rd edition of the LT-Innovate Summit will take place in Brussels. This year’s Summit will again be the meeting point for the Language Technology Industry to network, discuss needs & strategies and explore innovation & business development opportunities. Localization World is the leading conference for international business, translation, localization and global website management. Attendees are the people responsible for communicating across the boundaries of language and culture in the global marketplace. With a specific emphasis on global business the conference provides an opportunity for the exchange of high-value information in the language and translation services and technologies market. Meet us there. Please contact us if you would like to make an appointment and meet us at the conference. We are pleased to announce the presence of Transenter at The TAUS Industry Leaders Forum which takes place on 2-3 June 2014 in Dublin. Transenter’s MD Pawel Walentynowicz will take part in presentations and panel discussion – Ready to unleash data sharing. Mr. Walentynowicz will speak about data anonymization. Every day thousands of bytes are leaking into internet. Intellectual property, financial quotas, names and addresses can easily find their way into the public domain, often through free online translation engines or in transfer to third parties, including LSP’s. Could we or must we protect ourselves and our clients form data leaks and how? It’s no secret: data are the fuel for automating translation. Sharing translation memory data therefore seems a ‘no-brainer’. Except, there are issues to be addressed, such as confidentiality, incentives, cleaning, finding the data you need. Unless we succeed in solving these issues together we will see a serious constraint on growth and innovation in each of our individual businesses. After the launch of TAUS Data in 2008 around 100 organizations have started sharing and using the data. The data repository contains 55 billion words in 2,200 language pairs. Imagine what happens if we can expand the group of participating organizations tenfold. Speakers in this panel will raise the critical questions and share ideas for unleashing the power of sharing translation data. The goal of this session is to define and agree on the key issues and concerns that restrain translation operators from sharing their translation memory data, and next to identify collaborative actions and solutions that help us to overcome these issues. 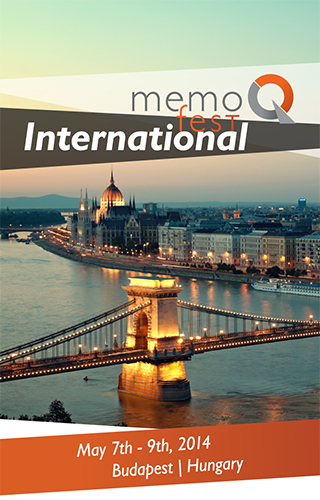 We are pleased to announce the presence of Transenter at Kilgray’s sixth international memoQfest which takes place on 7-9 May 2014, in Budapest, Hungary. Having more than 150 attendees from about 25 countries every year, memoQfest has, over the last couple of years, become one of the most important conferences in the translation industry. Transenter MD Paul Walentynowicz will present the issue: The smaller the print, the bigger the issue – Language Service Providers at risk. His focus will be on the problem that every day, thousands of bytes of crucial information are leaking onto internet from companies. Intellectual property, financial quotas, names and addresses can easily find their way into the public domain, which is the biggest threat in globalized business world. Also, how a company’s competitive advantage and business continuity is at stake, and how to prevent crucial data from being taken away by third parties and falling into the wrong hands will be also considered during Paul’s presentation. Data leakage for example via MT and supply chain flaws is a real and present danger to enterprises and their translation suppliers. Software to plug these gaps is just now entering the market. Hope to see you in Budapest! Meet our specialists at CeBIT exhibition in Hannover on 10-14 March to discover our language technologies and translation services.CeBIT is the world’s largest and most international computer expo. Meet our specialist from Transenter at ITB in Berlin on 4-8th of March and discover our solutions dedicated for TOURISM. Meet our specialist from Transenter at LegalTech® in New York on 4-6th of February and discover our solutions dedicated for law firms. LegalTech® is the #1 Resource for law firms and legal departments to get hands-on practical information for improving their law practice management. LegalTech® provides an in-depth look at what the technological world has in store for law firms AND offers an expansive exhibit floor with the most extensive gathering of innovative products designed to meet current and future technology needs. Our specialist from Transenter will participate in the 7th International Conference: Computers, Privacy & Data Protection: The Global Perspective which will take place on 22nd January 2014 in Brussels. Every year in Brussels, CPDP gathers policy makers, academics, computer scientists, consultants, practitioners and activists from all over the world to exchange ideas and discuss emerging issues in information technology, privacy, data protection and law. We would like to encourage participants to meet our specialist at the event and have a conversation regarding cyber security and related issues. Brussels has again been the meeting point for the Language Technology Industry to network, discussed needs, strategies, innovation opportunities and business trends. Transenter CEO – Pawel Walentynowicz was actively participating in discussion pannel on Driving Innovation in language technology – Supply Meets Demand. Every year experienced professionals attend the Localization World Conference and Exhibits to learn about new tools, methods and business practices in the areas of localization and internationalization. Networking and mutual problem discussion opportunities will abound at the social gatherings, meals and break periods. Exhibitors will be present to provide information about their products and services to all levels of attendees.With a specific emphasis on global business the conference provides an opportunity for the exchange of high-value information in the language and translation services and technologies market.Transenter will be aslo the part of this leading conference for international business, translation, localization and global website management. You could meet us this year at Infosecurity.be, participating in an extensive seminar programme, with impressive keynote sessions and interesting themes. Theme 2013: Social IT: The explosive growth of social media platforms like Facebook, Linkedin and Twitter are pushing forth in the consumer world. At the same time social media technology today is getting more and more integrated within organizations – even apart from the use of social media as a marketing tool. In his private the employee of today is accustomed to a different way of communicating (tweets, skype, video, Facebook, etc.) using different devices (mobile, tablet PC, digital TV). This results ina desire to use these resources in his working environment. This is called consumerization or IT. Collaboration tools and solutions in the field of Unified Communications offer solutions to facilitate this, but what does this mean for IT organizations in the area of ​​performance and accessibility? Which tools should be there to use and how should we deal with protecting this information ? In addition to creating applications, the role of IT within organizations needs to change if they wish to continue to offer added value towards the business. Transenter was participating in this year’s Annual Policy Conference on the 20 March 2013. The aim of the 2013 EBN Annual Policy Conference was to discuss how professional networking and international collaboration can be further developed to increase the competitiveness of European SMEs and how EBN’s members – the Business & Innovation Centres (EC-BICs) – drive innovation towards start-up creation and high-growth companies. The Policy Conference discussed not only the challenges but also key business principles including the valorisation of the potential cooperation with neighbouring growing markets, the revitalisation of the transatlantic business corridor, the potential of EU-Russia partnerships, the pragmatic collaboration with Asia’s top-players, and a fair approach to new emerging economies, including localised smart and specialised territories. Information technology plays a fundamental role in shortening and automating business cycles and is becoming the cornerstone of a company’s processes. 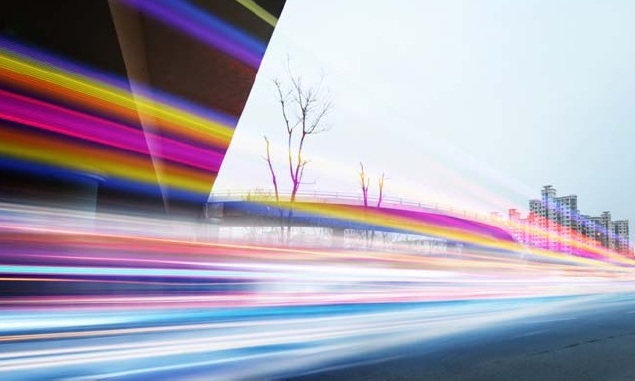 In this ever-accelerating market, companies need to act with greater agility, flexibility and improved service levels. Safety and risk management are of great importance. Companies need adequate and efficient systems to improve safety, manage risks and ultimately reduce the complexity of the new age of data. Companies cannot afford loss or leakage of information, wasting time on recovery or ignoring regulations. What are companies doing regarding risk management and security? How is the role of CISO evolving? How do you face an environment where multiple threats are on the increase? To answer these and other questions, IDC Spain held their IT Risk conference, in Madrid attended by analysts and renowned experts in the field. Transenter took part in the conference to gather and share the knowledge. On Thursday 28 February 2013 Transenter took part in CIRRUS first workshop holded in conjunction with Cloudscape V. This first workshop was aimed at identifying the status quo and gaps in cloud certification and standardisation and laid an important foundation for the further activities within the CIRRUS project. The CIRRUS project supports the European Commission, ETSI and ENISA in the implementation of the European Cloud Strategy. The workshop featured presentations from subject matter experts and generated an open and interactive discussions between the participants. We are aware that cloud computing has enormous potential to boost innovation in Europe. But Europe has to become not just “cloud-friendly” but “cloud-active”, playing a leading role in providing value-add services and solutions. Transenter joined the Cloudscape V – ‘Cloud for savings, Cloud for quality’ – the fifth in a series of annual gatherings that truly advocated awareness of the benefits of cloud computing. Cloudscape V focused on the cost efficiency and high quality that cloud computing offers. Open, interactive discussion between the public sector, experts and user communities was central to the event with sharing of practical experiences and best practices proposed for replication across the board. During the conference possible strategies for addressing privacy and security needs in online social networks were explored by experts on these matters. The objective of the conference was to bring together young and senior academics, representatives from public organizations, companies, ngo’s and governments together with artists, designers and developers to discuss and create visions for online social networks in which privacy, security, and other user needs are addressed. Internationally recognized speakers presented their vision on future themes related to social media; like privacy and minors, propertisation and consensual exploitation of personal data, privacy enhancing technologies, behavioural economics and security. The conference examined the different green tools that can play a vital role in Europe’s transport landscape and will debate how to incentivise and standardise the use of such technologies and fuels. It also discussed the necessary policy and financing measures that need to be undertaken to develop an adequate infrastructure for alternative fuels and electric vehicles. Crucially, by bringing together key stakeholders and decision makers, it provided the opportunity to take stock of the plans outlined in the Commission’s communication, assess the proposed measures, and share thoughts on the concrete steps that need to be taken and the challenges that remain as we move towards the implementation of an alternative fuel strategy for Europe. Friends of Europe’s annual Healthcare Policy Summit entitled “Why health is crucial to European recovery” was held on Tuesday, 27 November 2012 in Brussels. Transenter was one of the participants. 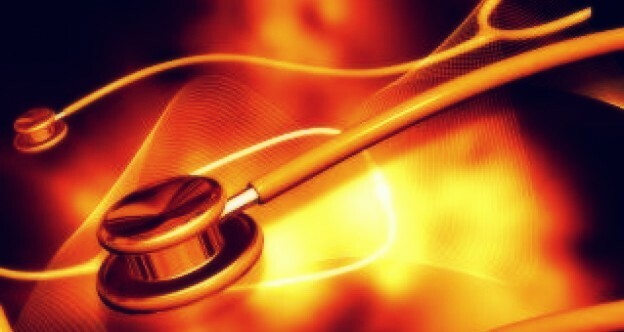 This year’s summit focused on how to achieve an efficient and innovative healthcare system throughout Europe in times of austerity and increased competition from emerging markets. The summit participants also discussed the following subjects: Can e-health help deliver better care for less money within citizen-centred health delivery systems? Can austerity measures be reconciled with a boost in medical R&D and innovation spending, which is a must if the EU wants to remain a global healthcare leader? Do we need a strategic agenda for the life sciences industry. Transenter participated in this year´s tcworld Conference and tekom Trade Fair, which took place in Wiesbaden from October 23rd – 25th 2012. In this international trade show prime importance was given to technical communication and developmental changes which are taking place in the sector of information technology. Leading technical experts from all over the world related to this field took an active part in this event and made this event more advanced and more popular in the recent times. Thank you for meeting us there! On 16th and 17th of October we were supporting inclusive and sustainable growth for human development during European Development Days. Organised by the European Commission, European Development Days (EDD) is Europe’s premier forum on international affairs and development cooperation. The world is changing and differentiated approaches to development cooperation are required. European Development Days (EDD) represents an opportunity to make good use of the diversity of viewpoints and models operating in the world. EDD is a laboratory where people from the field feed decision makers with their experience. We are pleased to announce that Transenter participated in European Innovation Summit, that took place on 9-10 October 2012 in the European Parliament. Under the motto “Building bridges – Creating Synergies”, this year’s debates related to policies relevant for innovation and that are currently under review by the European Parliament, including Horizon2020, Cohesion Policy, COSME and the MFF. The summit featured an opening reception with Innovation Commissioner Geoghegan-Quinn, several thematic sessions throughout two days, breakfasts, lunches and dinner debates, as well as an exhibition in one of the most visible locations of the European Parliament. In addition, the “Innovative Europe Reality Check” provided an opportunity for innovation practitioners to describe online their major challenges and express ideas on how to improve the framework conditions for innovation.